A 25 foot row of sugar snap and snow peas germinated and are growing well. Half the row was of each type, both edible pod. The ground temperature hovered around about 12C during this growing period. 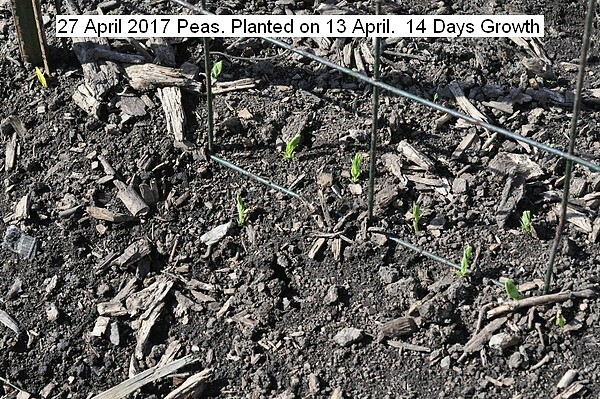 http://durgan.org/2017/May%202017/1%20May%202017%20Peas/HTML/ 1 May 2017 Peas. The row of peas are thriving. It has often been around 5 C and heavy rain. 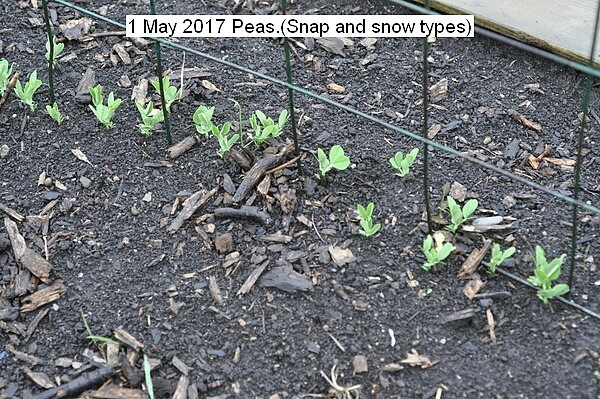 This entry was posted in Uncategorized and tagged 27 April 2017 Peas, 27 April 2017 Peas Germinated, Peas 14 day growth.. Bookmark the permalink.